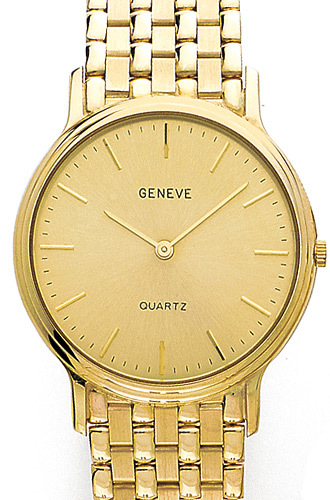 14K yellow gold watch with a round face. Bordered with yellow gold this watch has a gold dial with gold indicators, dots and gold hands. A classic watch - every man's dream!